STOCKHOLM, Sweden, Nov. 2 (UPI) -- Sweden's refugee crisis could lead to the country's collapse without European Union support, Swedish Foreign Minister Margot Wallstrom said. "I think most people feel that we cannot maintain a system where perhaps 190,000 people will arrive every year. In the long run, our system will collapse. And that welcome is not going to receive popular support. I have to admit that there have been moments recently of very great disappointment. I have heard statements from [EU] member states that have been completely astonishing and very discouraging," she told the newspaper Dagens Nyheter. Wallstrom added the Swedish government needs to pressure other EU members to take on a greater share of the burden. 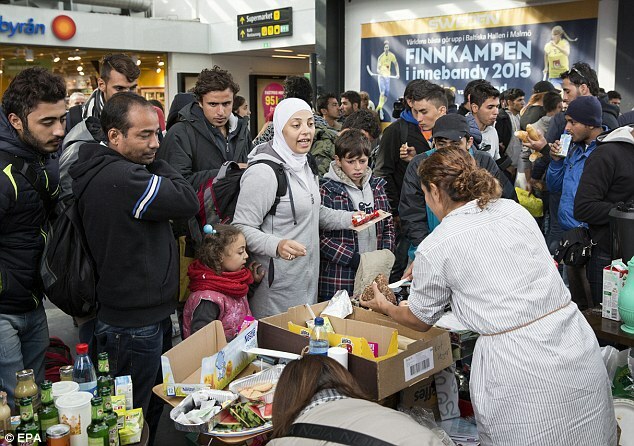 Sweden, with Germany, has been a prominent destination for refugees largely from the Middle East, who have sought asylum by the hundreds of thousands in Europe. Swedish Prime Minister Stefan Lofven has said his country is "approaching the limit" of its capability to absorb immigrants. Lofven is scheduled to meet with British Prime Minister David Cameron next week to discuss the matter. Britain has been reluctant to accept more refugees. Wallstrom was also critical of members of the right-wing Sweden Democrats party, who she says are responsible for "creating fear and becoming a trigger for attacks." She said five arson attacks against refugee centers in a span of two weeks in October were reminiscent of similar incidents when Sweden took in refugees from the civil war in Yugoslavia in the 1990s. "We also had fires when we received refugees from the Balkans. This is a pattern that is being repeated. The Sweden Democrats have a responsibility," she said. Her comments came after six political parties, not including the Sweden Democrats, agreed to request the EU to include Sweden with Italy and Greece, two countries hard-pressed to accommodate the rising number of immigrants, in its refugee relocation plans.